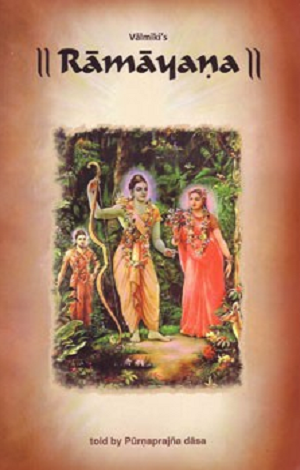 Valmiki’s Ramayana is a wonderful narration of the pastimes of the Supreme Lord in His form as Lord Ramachandra. Here is a highly accessible and easily readable retelling of the captivating story so famous in India. Queen Sita and Lord Rama face immense misfortunes, temptations and obstacles with equipoise, steadiness, courage and determination. This rendition accurately conveys the timeless spiritual knowledge and wisdom which served Sita and Rama so well and by which we also may overcome the challenges and obstacles in our own lives.